Clinozoisite The ‘Stone of Inner Independence’, encourages strength, integrity and independence from within, in a healthy and settled manner. This example is from Pakistan, there is a likeness to Thulite. The ‘Stone of Inner Independence’, encourages strength, integrity and independence from within, in a healthy and settled manner. Clinozoisite takes away feelings of pressure to ‘stand on ones own two feet’ and eases one gently and steadily into a position of own independence that comes from within. This helps to break the cycle of falling to pressures from other sources, such as expectations and conditioning. 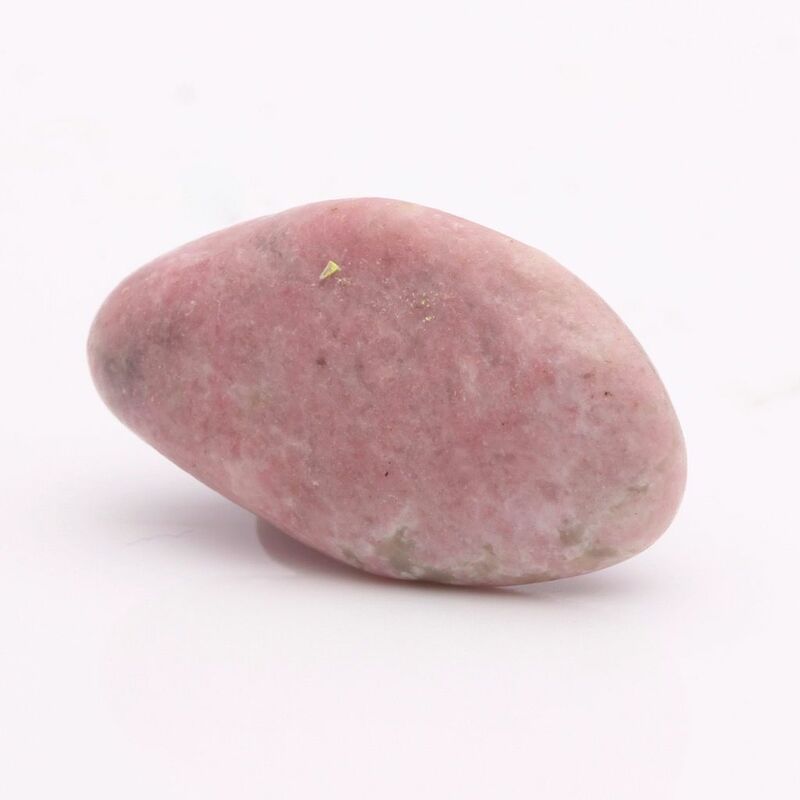 This stone also helps one to understand why certain happenings take place in life, as well as bringing a state of grounding, acceptance and settlement. Clinozoisite lifts feelings of being lost. That of not being a part of something, not being a part of somebody. This is a stone of comfort and reassurance when, and as it is needed. 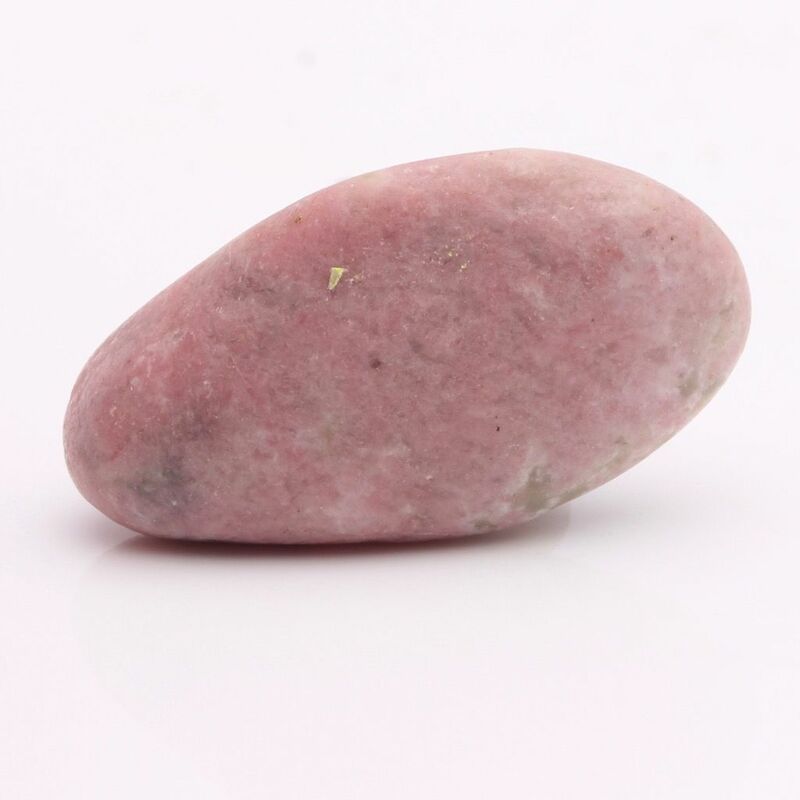 A stone that helps combat feelings of loneliness and abandonment, in both children and adults. Although this is especially beneficial to those in teenage years who ‘leave the nest’ for new stages such as college and university. Clinozoisite encourages one to let go of shame and fear, to hold ones head high and face the world, face the future with strength and integrity. Also a stone to help one see what is in front of oneself, to see positive opportunity that can be taken for new learning and experience. Clinozoisite is beneficial at times when one needs to set boundaries, also taking away any fear or indecision in setting what is a must to all. When stages arrive in life where one can miss what is of importance, Clinozoisite helps to draw attention to what is needed in the here and now. Clinozoisite is helpful in the treatment of water infections. It can help very well in keeping a healthy balance in this area, especially good during pregnancy. And also Clinozoisite helps to keep bad bacteria at bay within the bladder itself. This stone will bond very well if kept as a talisman or piece of jewellery. Keep close as much as possible, even at times of sleep in a safe manner.